Tom Brady signed a three-year contract extension for $27 million yesterday in a deal that will keep him in New England until 2017, Sports Illustrated’s Peter King reports.The going rate for a top-tier QB these days is $20 million a year. Drew Brees and Peyton Manning make that, and Joe Flacco is asking for it in free agency. So Brady didn’t just give the Pats a hometown discount, he signed a deal for less than half of what he’s worth on the open market. The reasons are simple: He wants to win and he wants job security. 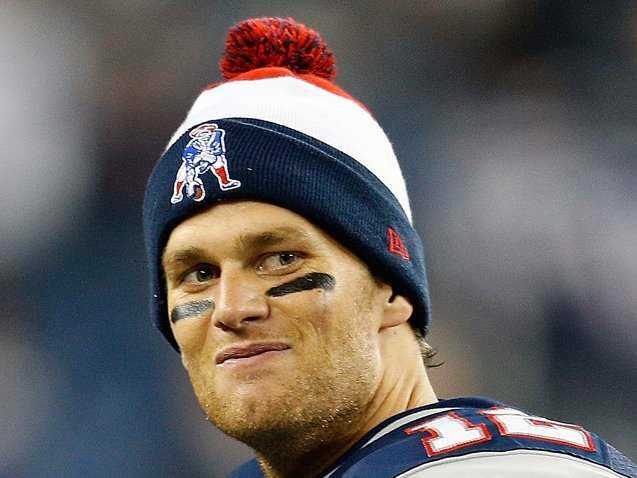 Brady’s deal is a brilliant piece of salary cap manoeuvring by New England. The specifics are complicated, but at the end of the day Brady’s extension frees up $15 million in salary cap for the Pats over the next two years, King reports. By taking less money, Brady will have better players around him. The Patriots could go a variety of ways with that money. They could address needs in the defensive backfield by re-signing cornerback Aqib Talib or safety Ed Reed. They could also re-sign free agent wide receiver Wes Welker or make a run at big-play receiver Mike Wallace. The only downside to this deal for the Patriots is that they’re committing to a quarterback who is about to reach the age when most QBs fall off dramatically. Brady will be 38 years old when this extension starts in 2015. By the time the deal is done, he’ll be 40. There are cases of 38+ quarterbacks having success in the NFL (Brett Favre, Kurt Warner), but the list is short. So while Brady is being rightly praised for putting winning before money, it’s also nice that he knows he’ll have a contract at an age when most NFL players are hopping from team to team.